If you're anything like me, you always procrastinate when it comes to buying Christmas and holiday gifts. I don't know why I do it every year - but I do. So when Carolina Premium Outlets asked me to help form a Holiday Gift Guide, I knew I'd be able to check off multiple gifts for everyone on my list all at once. So of course the procrastinator inside me said YES! 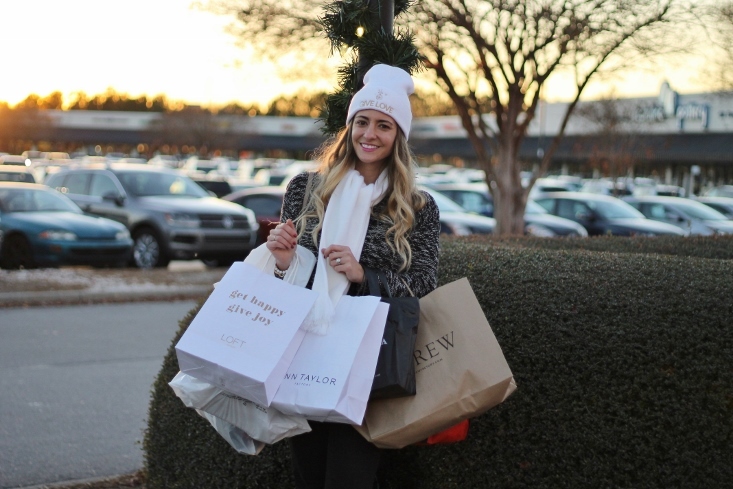 So here's a little peek into the gift guide I put together with all of my finds from Carolina Premium Outlets! 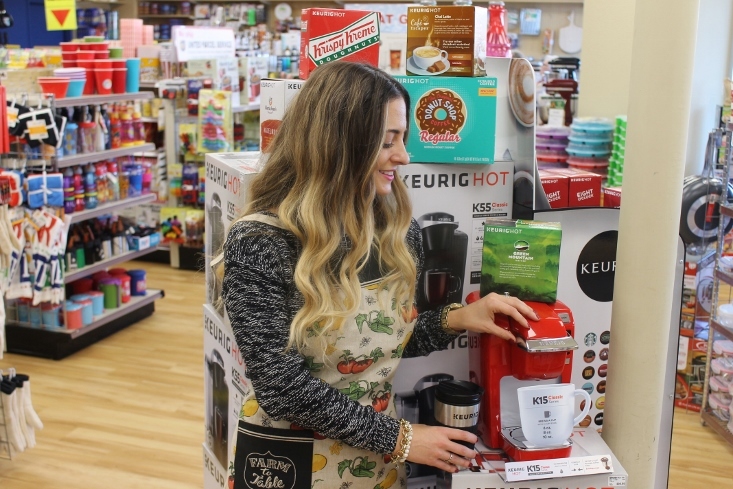 Whether they need caffeine to function (hello Gilmore Girls) or just love making their own Chai Tea lattes, you can never go wrong with a Keurig machine and lots (and lots) of K-Cups from The Kitchen Collection. I don't know about you, but even though I can buy myself K-Cups, there's something special about someone giving them to you. Plus, the prices at The Kitchen Collection mean K-Cups for everyone! I know: underwear can some so boring. But let's face it, guys need underwear and they certainly aren't going to buy themselves fun and colorful styles like these. So why not do it for them. Jockey's quality is so great that they're bound to last him at least a few seasons if not more. Plus, any excuse to fun underwear is a good one to me! I don't know if there is a better store to hit up everyone on your list than J.Crew. 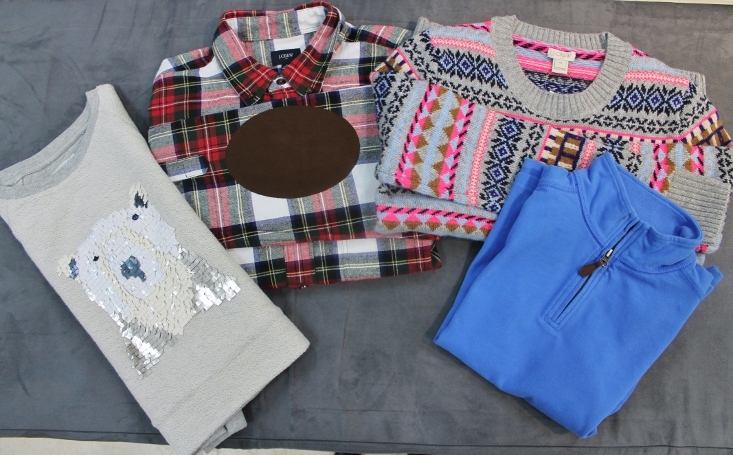 They have the trendiest styles for all ages and cute details (like elbow patches and neon fair isle) mean the whole family can be fashionable while saving big! Plus the J.Crew Factory store at CPO has a ton of cute accessories that will make perfect stocking stuffers. One item I love receiving is my favorite perfume in a pretty gift set because I usually get the scent plus a special gift. I stopped into Perfumania and decided to pick up the new Rihanna perfume for a sweet friend who is definitely the epitome of glamour. But to be completely honest, it was hard to choose given the many great scents they have! Oh and I scored this gorg polka dot tote for her when I shopped and spent a specific amount. It's the perfect size to travel with - a win win for her! Okay, clothes were never this cool when I was young (were they?!) I kind of want that “My mom think’s she’s in charge” tee for myself right now. As soon as I walked into The Children’s Place I felt like I had instantly become part of some “cool kid” club or something. Everything is bright, fun and oh-so-cheeky. 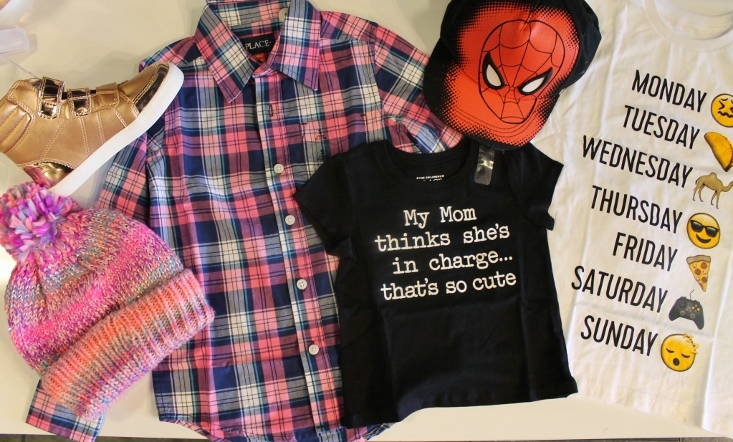 Your little mini-me will totally love getting clothes when they’re this good. Now, the real question is: does that day-of-the-week emoji tshirt come in my size? Yankee Candle will never stear you wrong in the world of gift giving my friends. 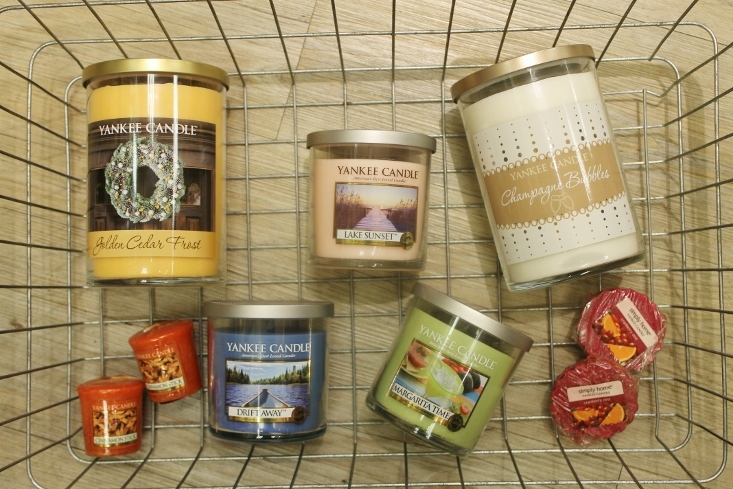 They’ve got candles and scents in every size, shape and form that you could imagine. My favorite way to give a candle? Pick a scent that’s inspired by a memory you share with the person you’re gifting. They’ll love the smell and appreciate the scent-iment behind it too (see what I did there?) Psssttt if anyone wants to grab that Champagne Bubbles candle for me, I won’t be mad at ya! You know my motto here at Bedazzles After Dark: Wear something sparkly everyday. 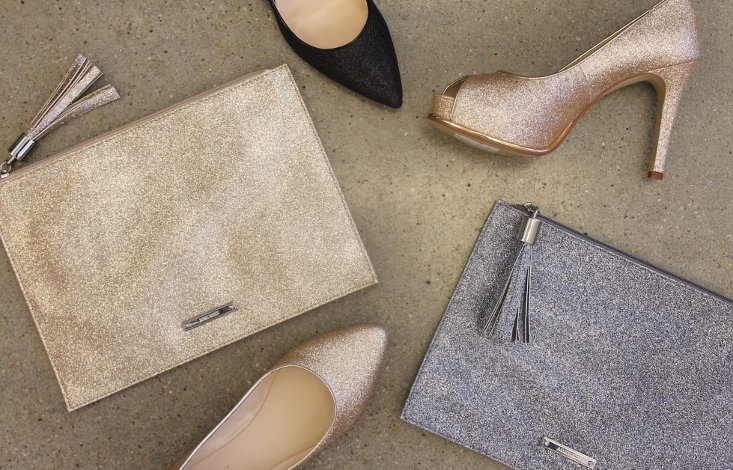 If you’ve got a sparkle lover in your life, Nine West is the perfect place to score some glittering accessories. Those heels are just calling her name for New Year’s Eve and the Glitter Clutch would look perfect dressed up with a LBD or dressed down and casual with a Jeans and Tee. Versatility in anyone’s wardrobe is key and let’s be honest: there’s nothing more versatile than glitter! Elton John once said that music has a healing power – and I think that couldn’t be more true. You know that moment when your favorite song comes on the radio and you turn it up so loud so that nothing else in the world matters for the next few minutes (yeah, I love that feeling too) Well imagine giving that feeling to someone. I’m pretty sure they’d give you all the praise hands emojis. 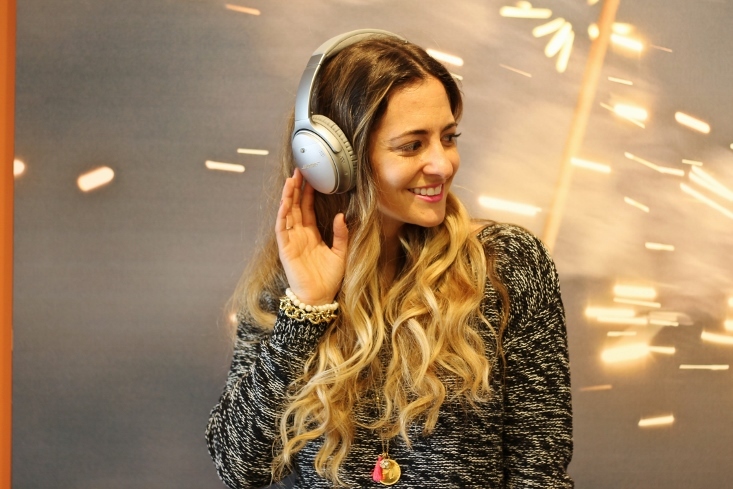 Bose has gifts that will give those music lovers in your life just that – pure bliss. These noise canceling headphones are such a good deal, you might have to grab a pair for yourself. Whatever you're doing over the holidays, I hope you have the merriest season and an even happier New Year! Don't forget to stop by Carolina Premium Outlets for all your holiday gifting needs! disclosure: this post was sponsored by Simon and Carolina Premium Outlets. The opinions expressed herein are those of the author and are not indicative of the opinions or positions of Simon or Premium Outlets.